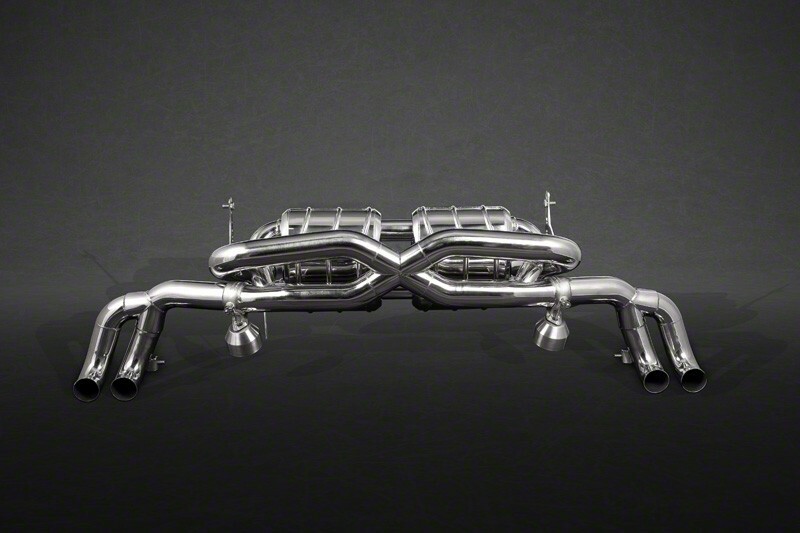 Exhaust System for the Audi R8 V10 Facelift model incl. 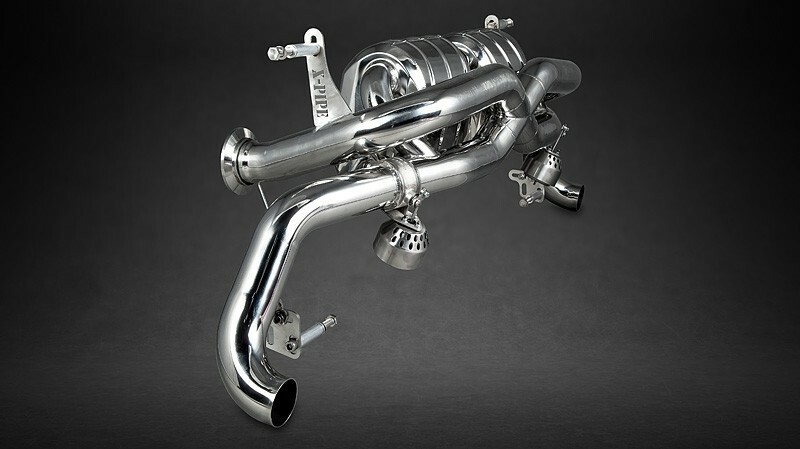 Audi R8 V10 Plus, GT and LMX with 2 valves, made out of polished stainless steel incl. programmable control unit (CES-3). This system needs no middle silencer. See TUEV approval below. It has two valves and will be delivered with the programmable control unit CES-3, incl. 2 remote key fobs and software Capristo Control Center and mounting kit. 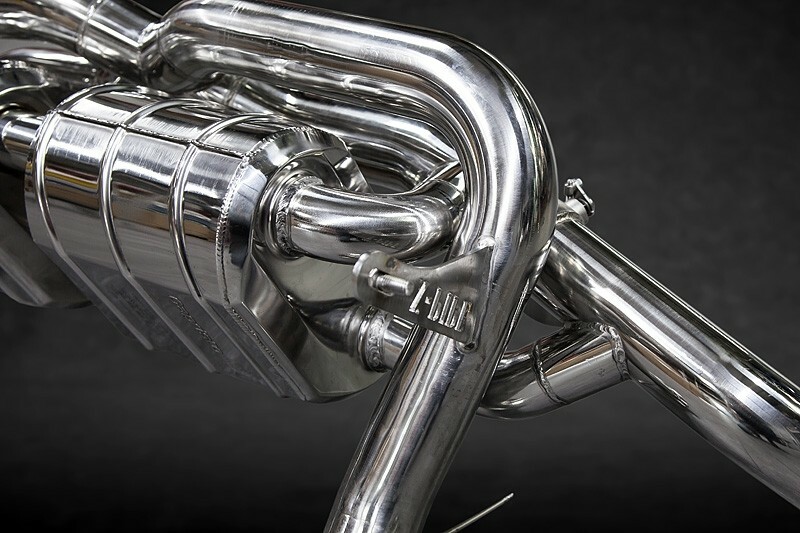 The system is made from heat resisting 1.4828 stainless steel and is polished by hand. The delivery contains the CES-3, a programmable valve controller with three modes: \"Cruise\", \"Sport\" and \"Open\", which can be alternated by key-fob remote controllers. You can determine a \"Favorite\"-mode in which your car starts. Furthermore you can determine the thresholds of the modes \"Cruise\" and \"Sport\" at which the valves open. Information about pressure or mode can be displayed on the car radio via RDS. For advanced configuration we develop the dedicated software \"Capristo Control Center\". This software gives you the option to read-out and setup various parameters like G-force, pressure, thresholds and many more..
A big advantage of this control unit is the ability to recognise the driving style. In case the driver hits the pedal agressively, the unit will recognise the pressure that builds up and opens the valves immediately. Under moderate conditions the valves will open later. This system combines all advantages in one unit: You can dose the pressure precise at low and high RPM. thus the engine can achieve the maximum possible power. The most valve controlled systems on the market open and close the valves depending on RPM or speed, but the engine isn\' influenced by those values, but by back pressure, which increases according to the RPM. 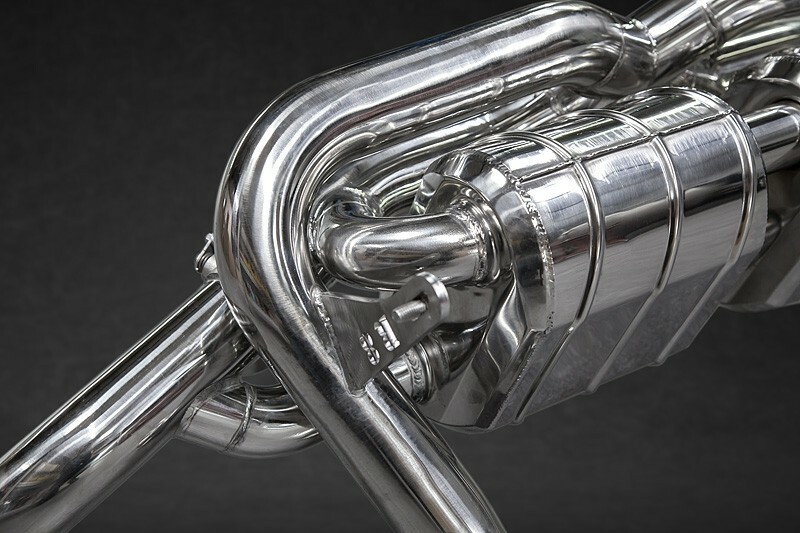 The Audi motors for the exhaust valves have to stay connected and must not be disconnected or removed. Otherwise the system generates an error message. Capristo Automotive emphasizes that you should avoid to rev up your car while not moving. 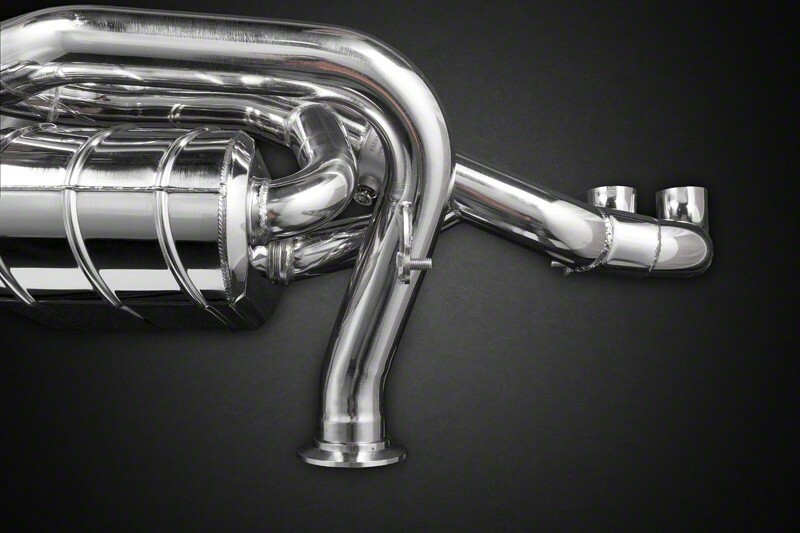 The exhaust flames that may occur could cause damage to vehicles and persons in near proximity.